Chicago has always been my favorite city for so many reasons but I had never been there during the Christmas season. So when the Illinois Board of Tourism reached out and invited me to attend a press weekend, I was over-the-moon excited! In the spirit of full disclosure, this was a sponsored trip and I did receive complimentary airfare, hotel and experiences in exchange for sharing my adventures with all of you. But as always, all opinions are my own. From the minute we landed until the minute we left the city, our itinerary was jam packed with attractions, restaurants, and experiences, a lot of which I had never done on my visits there. 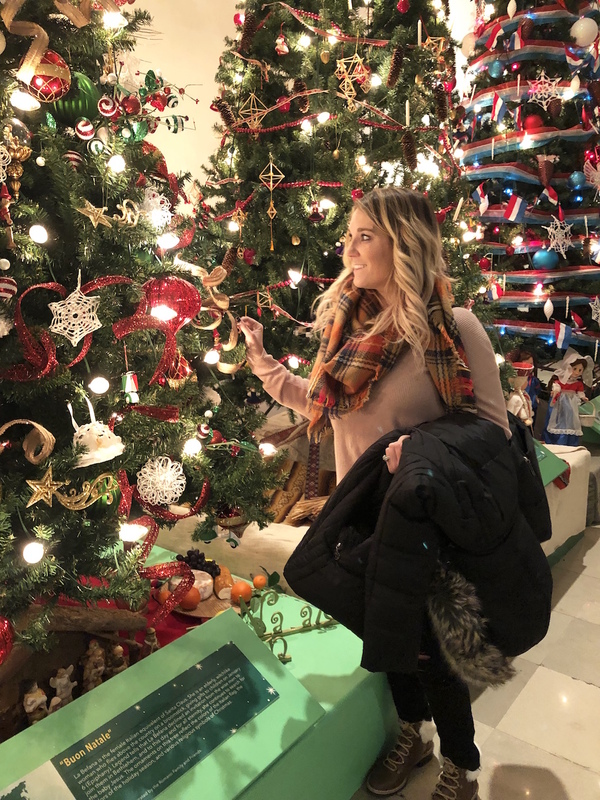 So without further adieu, I’m excited to share some of the best things to do in Chicago during the holidays. 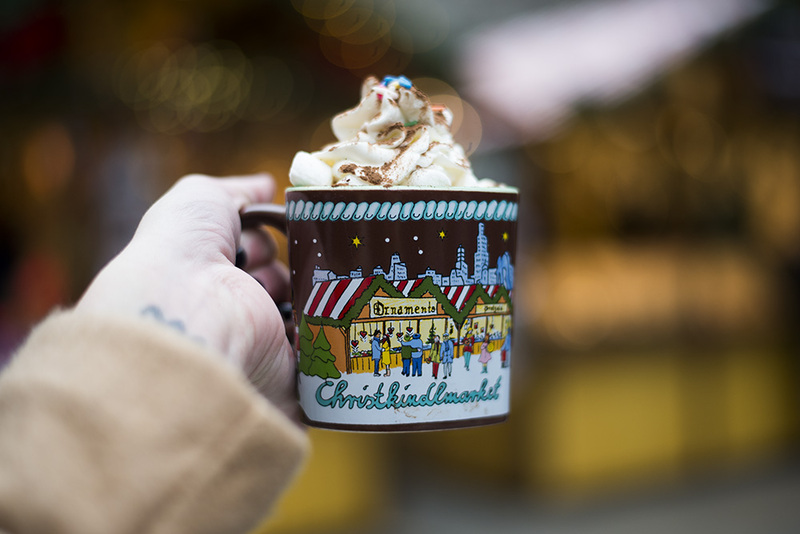 Christkindlmarket: Christkindlmarket is inspired by the Christkindlemarkt in Nuremberg, Germany and is seriously SO cute! 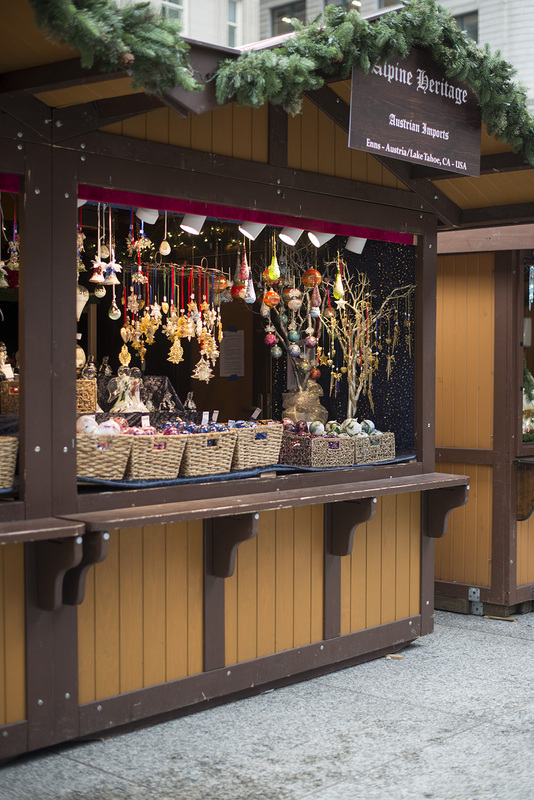 Over 60% of the vendors are from Germany and they offer traditional German food, shops with ornaments, trinkets, and more! 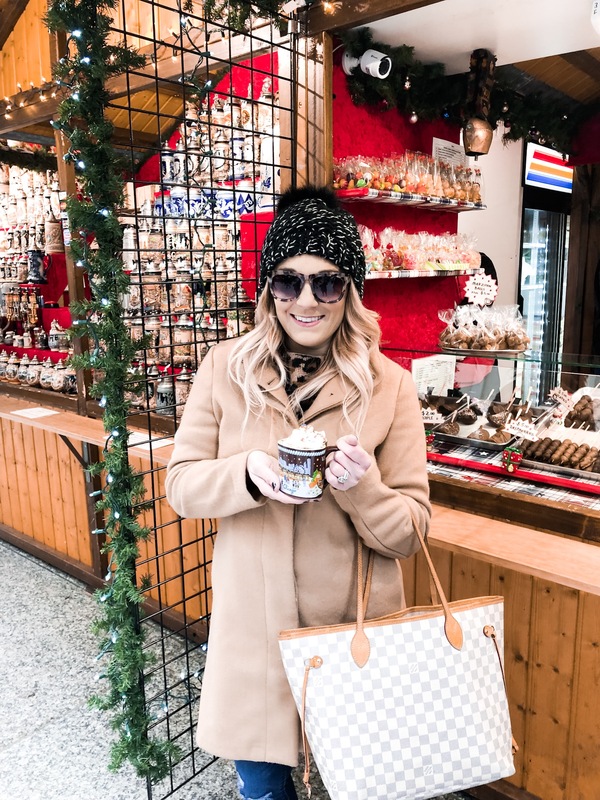 I was a personal fan of this Instagram-worthy hot chocolate but they also serve beer, spiced wine, and more! It’s located in Daley Plaza downtown in the Loop which puts you in the perfect location to do some shopping on Michigan Ave afterwards. 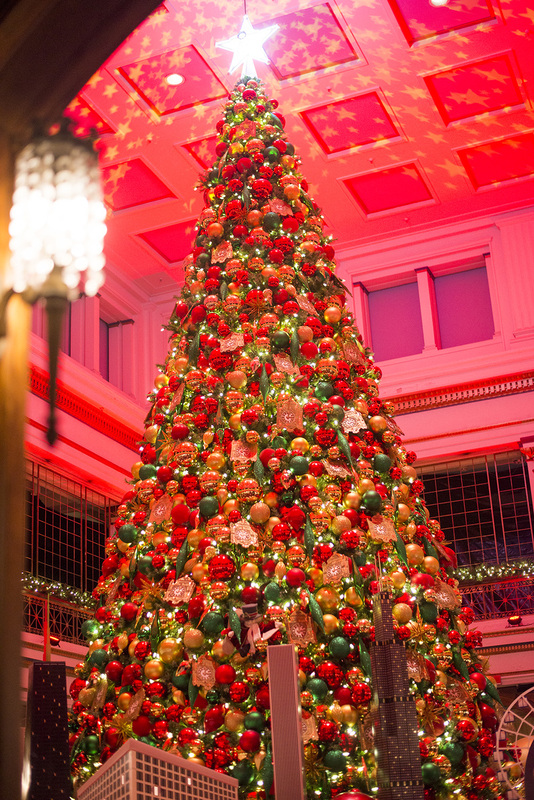 Macy’s Holiday Traditions Tour: I’ve always associated Macy’s with holiday magic because of the Thanksgiving Day parade. But I had no idea the traditions that surrounded the Macy’s on State Street! 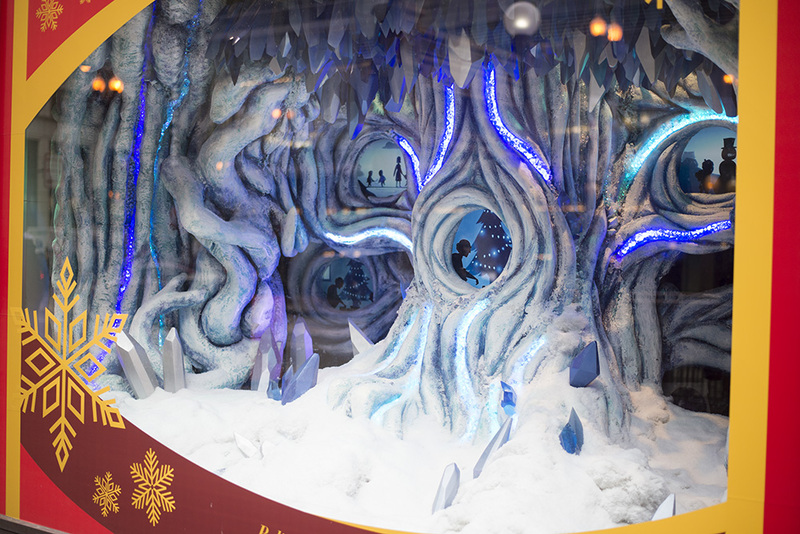 Each year the store chooses a different theme and the windows are decorated in over-the-top displays. We were able to tour the store and learn about the rich history of the building as well as see various highlights, like the Walnut Room. Tickets are only $12 per person and I would highly recommend it! Millenium Park: Millenium Park is always a must see during every Chicago trip! But during the holidays, visit the McCormick Tribute Ice Rink in front of the Bean or ooh and awe at the City of Chicago Christmas tree! Museum of Science and Industry Christmas Around the World Exhibit: I’ve been to Chicago SO many times and never been to this museum. And I cannot wait to go back with my kids! 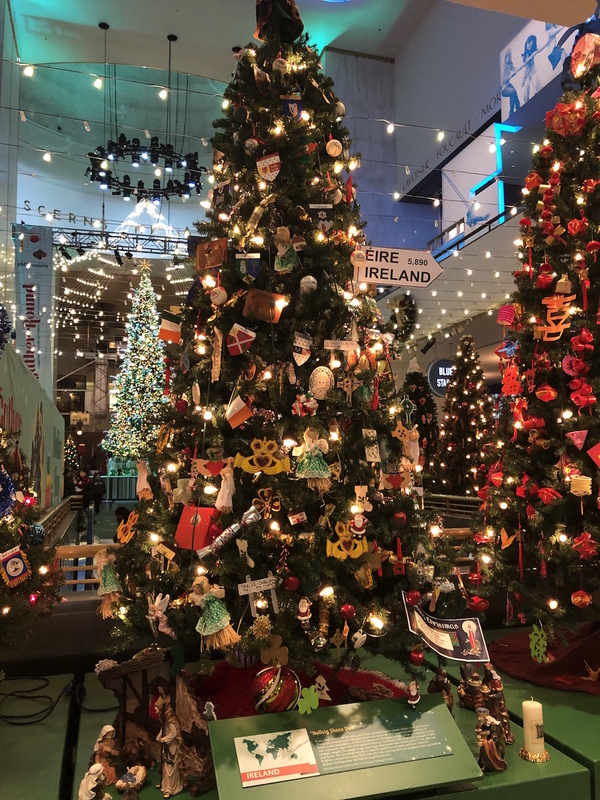 But during the holidays their Christmas Around the World exhibit features over 50 Christmas trees decorated by volunteers with holiday traditions and ornaments from different countries around the world. Lights Festival Lane: This is an interactive festival on the Magnificent Mile that features different sponsors and booths. 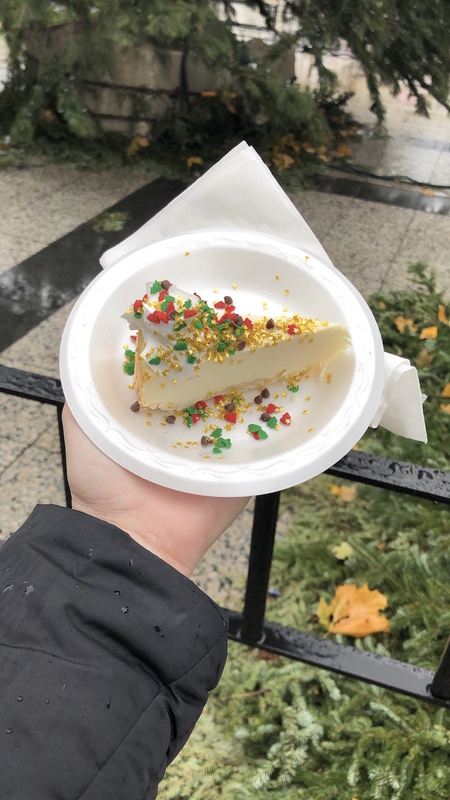 Be sure to stop by the Eli’s Cheesecake booth to decorate your own cheesecake and find out why it’s Chicago’s favorite cheesecake! Listen to local vocal groups, visit with Mrs. Clause and more! 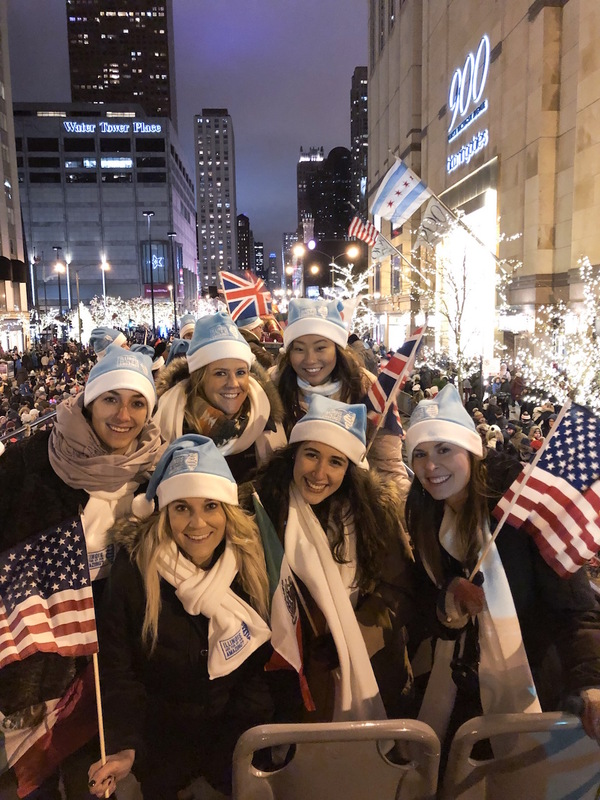 Magnificent Mile Festival Tree-Lighting Parade: Join thousands of Chicago residents on Michigan Avenue as Grand Marshalls Mickey and Minnie kick off the holiday season with the Tree-Lighting parade! Featuring helium-filled balloons, marching bands from all over the country, celebrities, and more! We were able to ride in the parade with the Illinois Board of Tourism office on a double-decker bus and I have never seen so many people! And at the end of the parade, watch as they shoot off a magnificent fireworks display over the river! 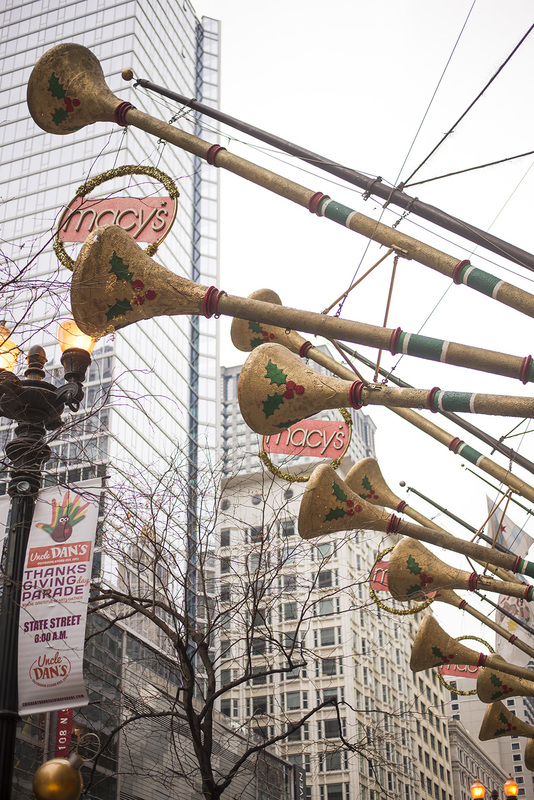 Shop along the Magnificent Mile: Michigan Ave is the best destination for all your holiday shopping needs! In addition to the top retailers and decorated streets, you can also visit the Shops at North Bridge. This four-level shopping center features 50 world-class retailers. I highly recommend the Winky Lux Experience. Each room is perfectly “Instagram worthy” and highlights one of their best-selling products. 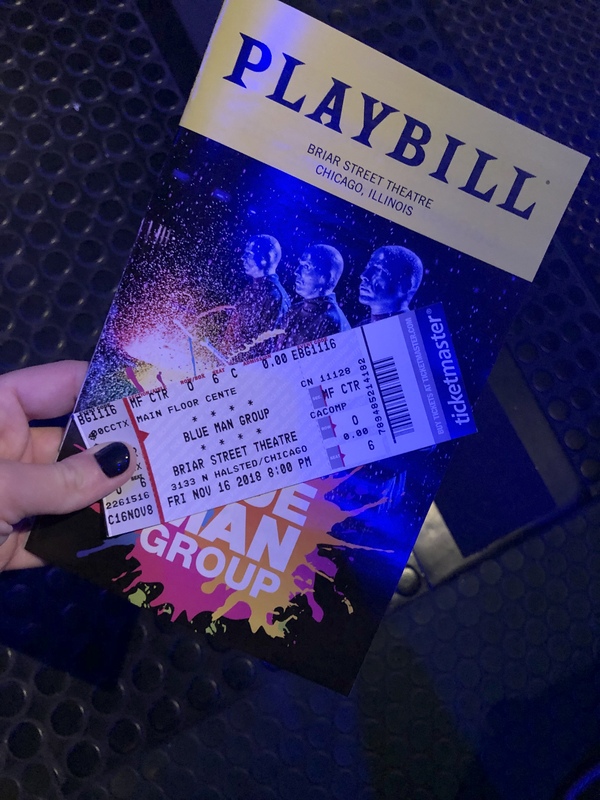 Blue Man Group: Looking for an entertaining, out-of-the-box experience? Consider checking out the Blue Man Group’s newest show! Join three bald, blue men as they lead you through different sights, sounds, and surprises. Word to the wise: don’t show up late and don’t pull out your cellphone! You’ve been warned. Be prepared for a super loud and bright performance that will leave you wanting more! 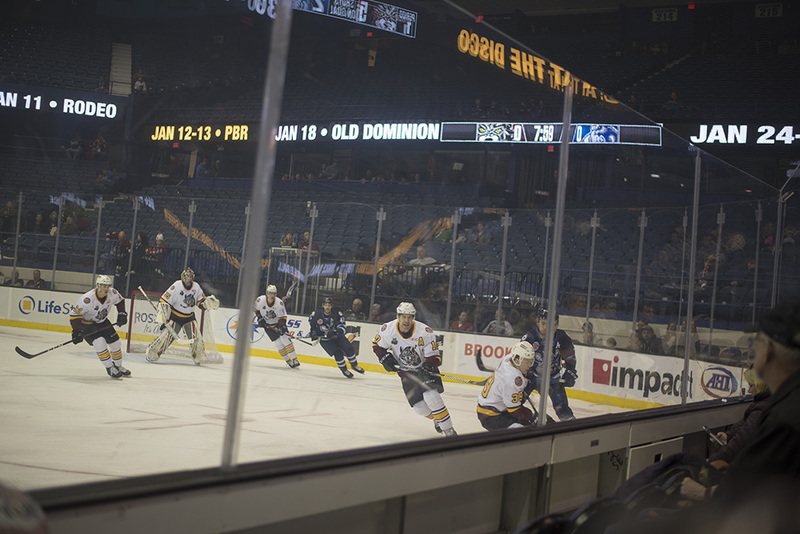 Chicago Wolves: Looking to attend a sporting event? The Chicago Wolves, located just minutes from the O’Hare International Airport feature a family-friendly atmosphere with activities, games, and an amazing light and laser show before the game! I love their Family Sundays program that offers free face painting, giveaways, and autograph session after the game! 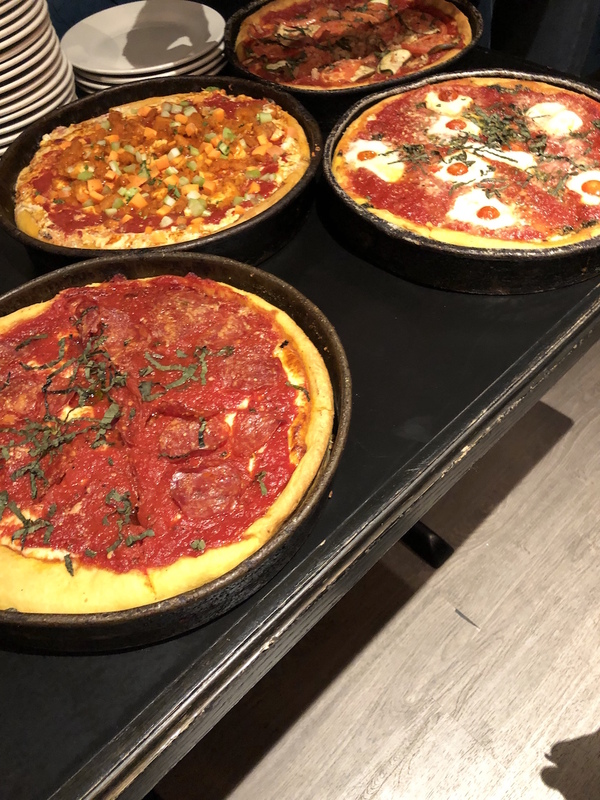 Gino’s East: Chicago is known for their deep dish pizza and is it even a trip to Chicago without grabbing at least a slice?! (Kudos to you if you can eat more than that!) Gino’s East is one of the city’s most loved places to grab this traditional dish and it did not disappoint! I went with a traditional spicy pepperoni but they also came out with Buffalo Chicken, Ratatouille, the Meaty Legend and more! 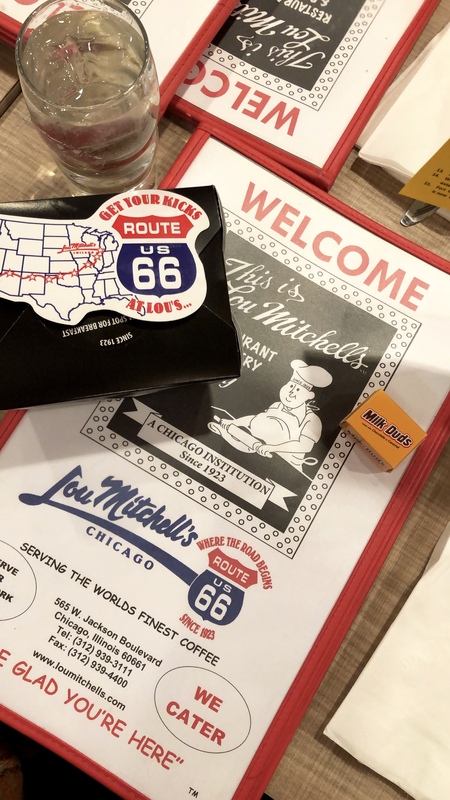 I can’t wait to go back and try some of their other fan favorites! Labriola: Looking for a hearty, authentic Italian meal? Labriola features handmade pastas, thin-crust pizzas, salads and steaks. 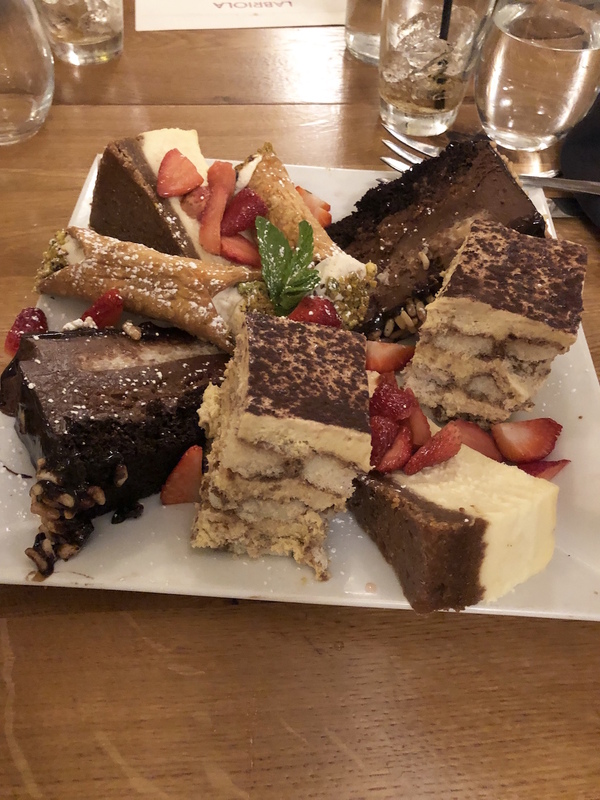 In addition to being a full service Italian restaurant restaurant, it also offers a bakery café featuring sandwiches pastas, salads, pizzas and Bariola’s signature baked goods. Not hungry? Grab a drink at the bar! They really do have something for everyone and the food was AMAZING! I mean, look at this dessert platter! Elephant and Castle: This British Style pub was filled with energy and life as we entered! Enjoy English or American dishes and grab yourself a pint while at it! I was personally eyeing their brunch menu and will definitely be back to check that out. 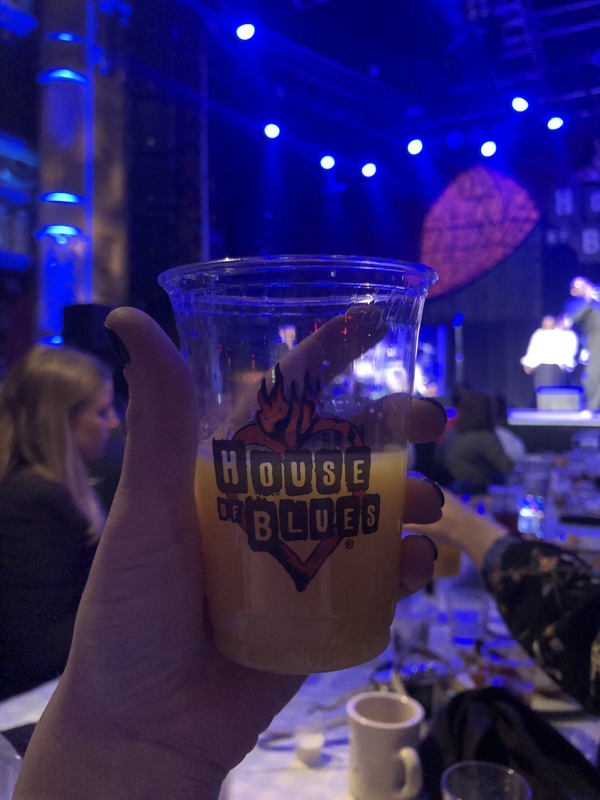 House of Blues: Gospel Brunch: Looking for a hearty meal and a full heart? Join local talent as they perform traditional and contemporary Gospel music. 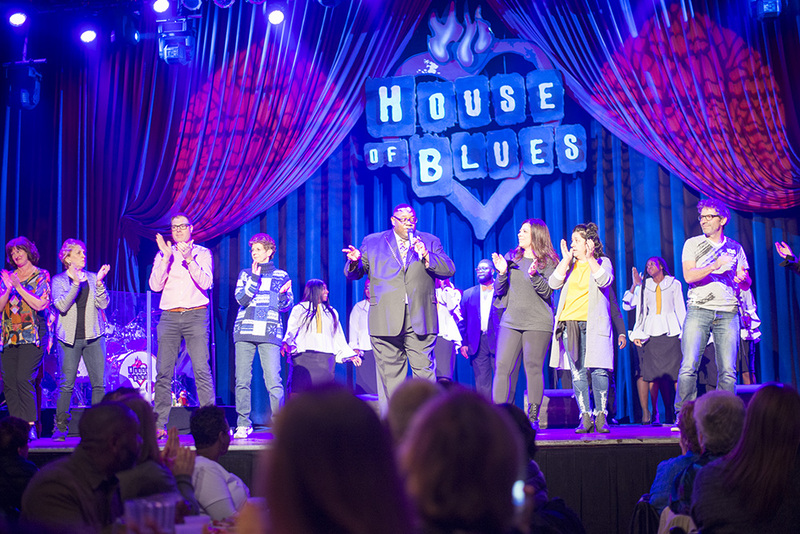 Be ready to stand up, dance, sing out and feel the love! In addition to the show, you can treat yourself to an all-you-can-eat buffet and bottomless mimosas! 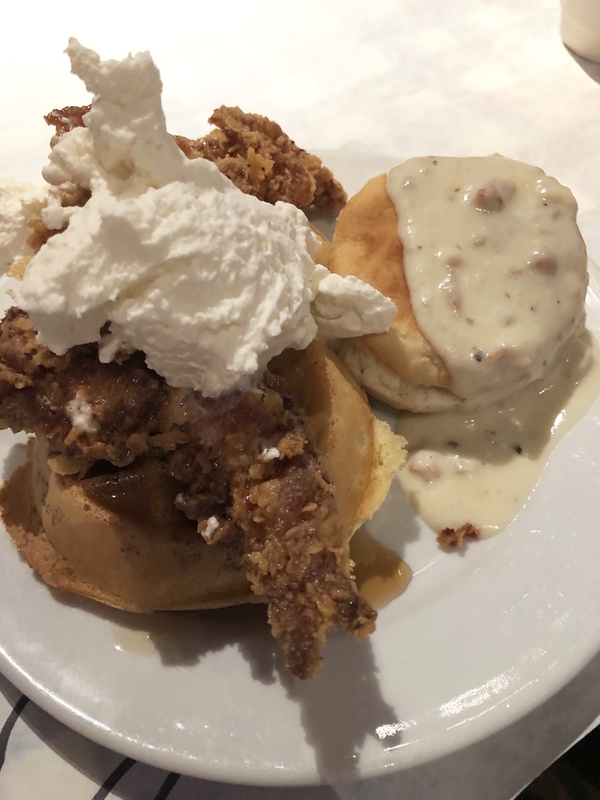 I highly recommend the Chicken and Waffles and biscuits and gravy! I’m drooling just thinking about it! DRESS WARM! Whether you’re walking, taking the train or grabbing an Uber, you’ll want to dress appropriately. Plan ahead: Our hosts did an amazing job of planning everything out for us and it made the experience that much easier. Be sure to look at the vicinity of each event or attraction so you aren’t hopping all over the city. 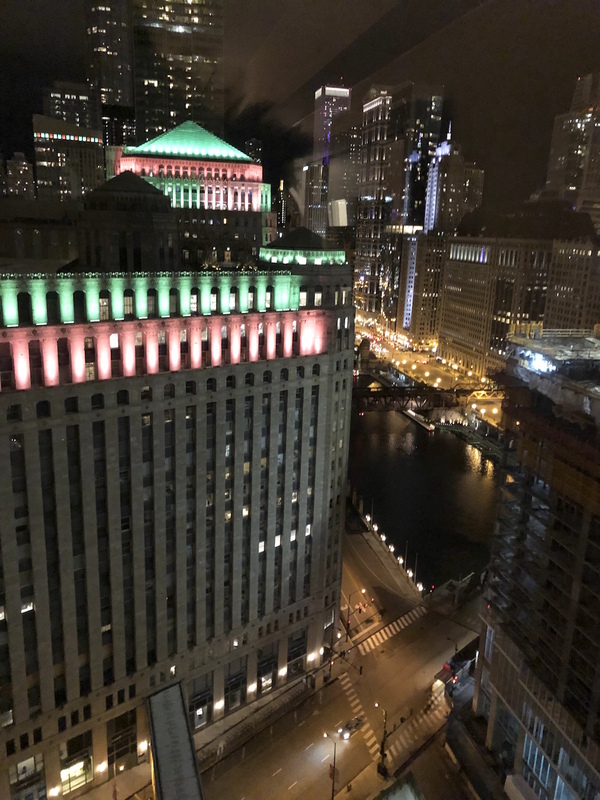 Hotel recommendation: We stayed at the Holiday Inn Chicago Mart Plaza River North and it was awesome! On top of the view being amazing, the rooms were great and the staff was super hospitable. It was also in walking distance to a lot of the attractions and restaurants I’ve mentioned! We love going to the Christkindlmarket every year and getting a new ornament and drinking hot chocolate. I love that they opened another location at Wrigley Field, too! I’ve never been to Chicago! The tree lighting parade sounds like so much fun. So many great things to do this time of year!! So much fun! 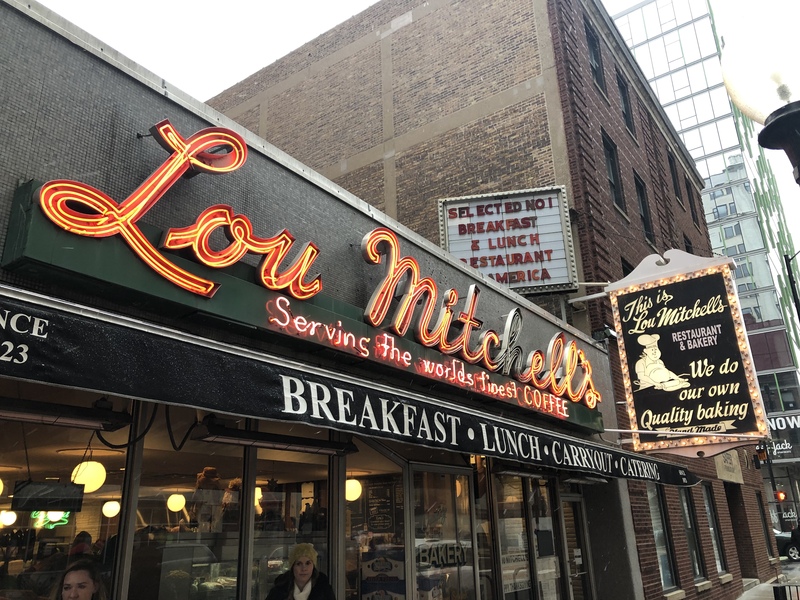 I was just in Chicago a few weeks ago and wish I did some of these things while I was there… guess I have to go back! Bookmarking this immediately! I need to go to Chicago and this is perfect timing! This looks like so much fun and so festive! That Christmas cake looks delicious. I love all the sprinkles on it! Now I need to plan a trip to Chicago! I seriously want to come and visit Chicago in the winter now. I didn’t know there were so many great events! 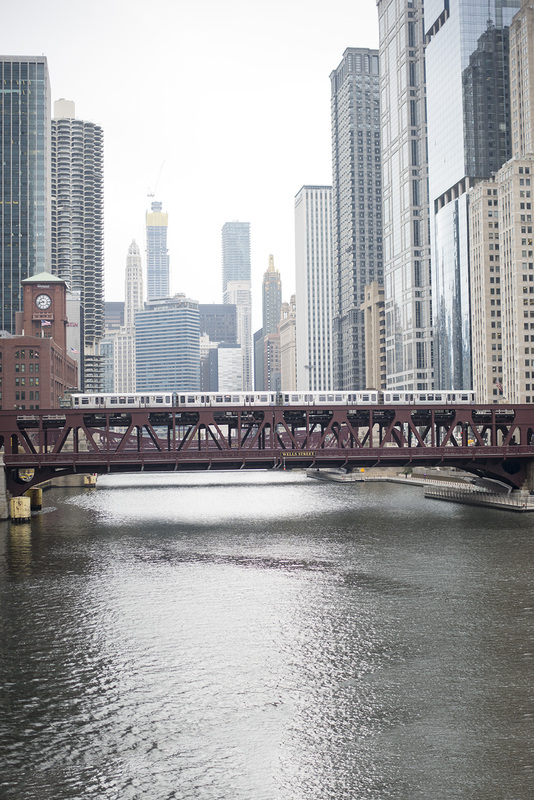 I have always wanted to visit Chicago, but it sounds especially amazing during the holidays! It looks magical for Christmas! I visited Chicago growing up in the spring, but I’d love to go at Christmas now that I”m an adult! I love Chicago so much and it looks like you have a blast while you were visiting. Okay, I always thought NYC was the place to be during Christmastime. Now you have me craving CHI so bad. Looking up flights to see if I could get there with my points before Christmas. lol. What a festive way to enjoy the city! I’m book marking this for later. Your trip to Chicago looks amazing! I maybe biased but I think Chicago is the best city and I love how festive it is this time of year! Bookmarking this for the future! Would love to visit Chicago during the holidays! 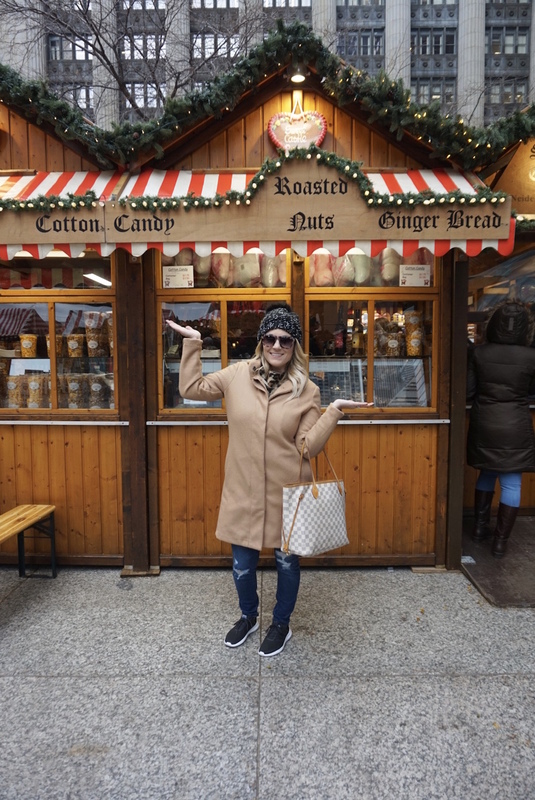 I am dying to go to Christkindlmarket!!! Looks like so much fun!! I love Chicago but have never visited during Christmastime. All of these activities look like so much fun! I might actually brave the weather and plan a trip next year. I love this travel guide! So many fun things to do! 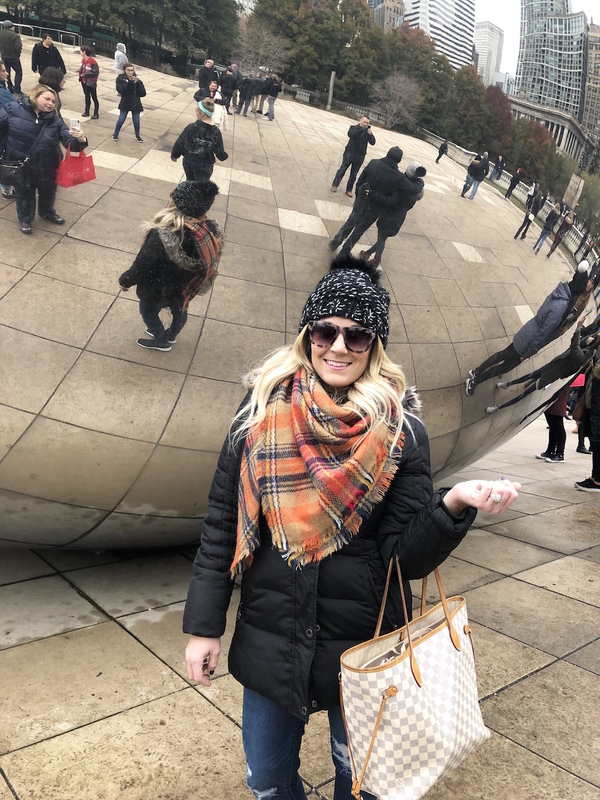 I seriously can’t wait to go to Chicago one day – it’s on my list for 2019! Your photos are gorgeous! christmas in chicago looks so fun!